Indian IT group Tech Mahindra, which is part owned by BT, will take over control of fraud-tainted IT services firm Satyam after its initial bid for a 31% share - worth about $350m - was the highest made for the business. This values the firm at about $900m. Tech Mahindra emerged as the preferred buyer after outbidding firms including Indian BPO company Cognizant and engineering giant Larsen & Toubro. Other companies said to have been interested include IBM, HP and CSC. The sale to Tech Mahindra ends weeks of speculation over Satyam's future since its former chairman confessed to inflating the company's financial results to the tune of $1bn. But there will be continuing uncertainty for the buyer because the extent of the fraud is not yet clear and there are a number of legal challenges against Satyam. 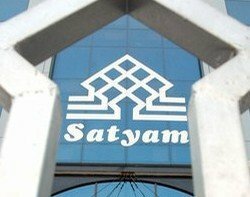 Satyam was thrown into disarray and its survival was in question when the scandal left it short of cash and customers and employees low on confidence. Peter Brudenall, partner at UK law firm Hunton & Williams, told NDTV Profit that there were a number of class actions against Satyam which were in the early stages. "These could be for up to $100m." Kiran Karnik, chairman at Satyam, said Tech Mahinda had supplied the highest bid. "This is still a work in progress with steps still to go. On behalf of all Satyamites and their families, we congratulate Tech Mahindra on being the highest bidder. The selection of the highest bidder, in a fair, open and transparent process, signals a new stage for the company in its progress towards stabilisation and growth."